Petroineos Trading, a joint venture between PetroChina Co. and INEOS Group, supplies crude oil and provides fuel marketing services. 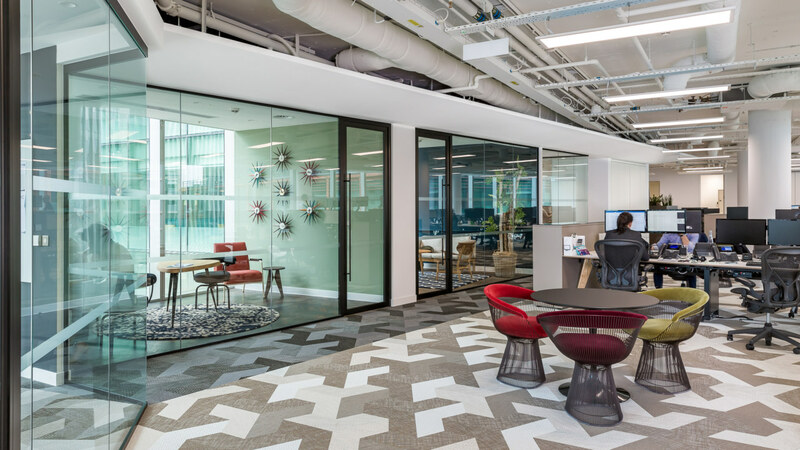 We were assigned to carry out a £2.6m full design and build fit out of Petroineos’s new offices in The Peak in London’s Victoria. 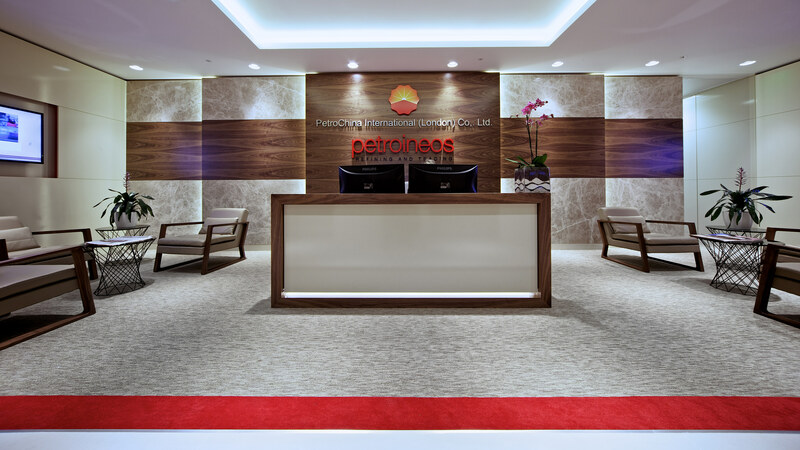 We held regular meetings with Petroineos throughout the design and build to ensure accurate representation of their brand, as well as meeting all space and technical needs. 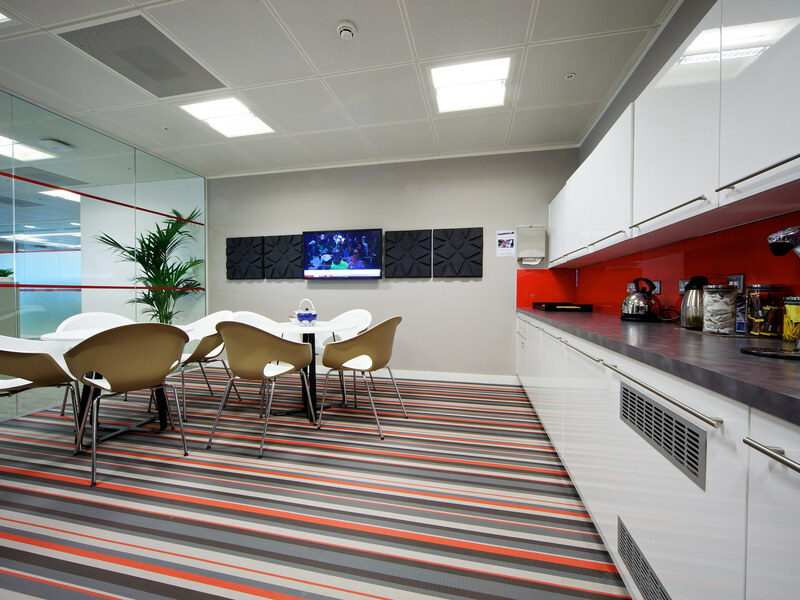 This was a technologically challenging project, which involved building a highly sophisticated communications room and a firm emphasis on brand reinforcement throughout. 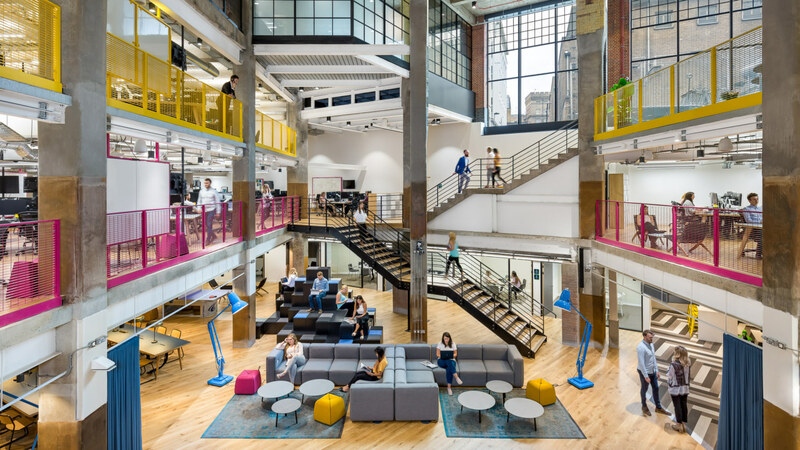 Where other firms might have struggled with communication, as a specialist in providing solutions to Chinese firms, we were able to assign one of our Mandarin-speaking designers to the project to ensure we didn’t miss any subtle nuances in our client’s aspirations. The Peak is something of a trophy building and the office build quality and internal environment needed to be appropriately high-end. We specified natural materials, including marble and grained veneer and incorporated feature joinery amongst the strong brand identity. 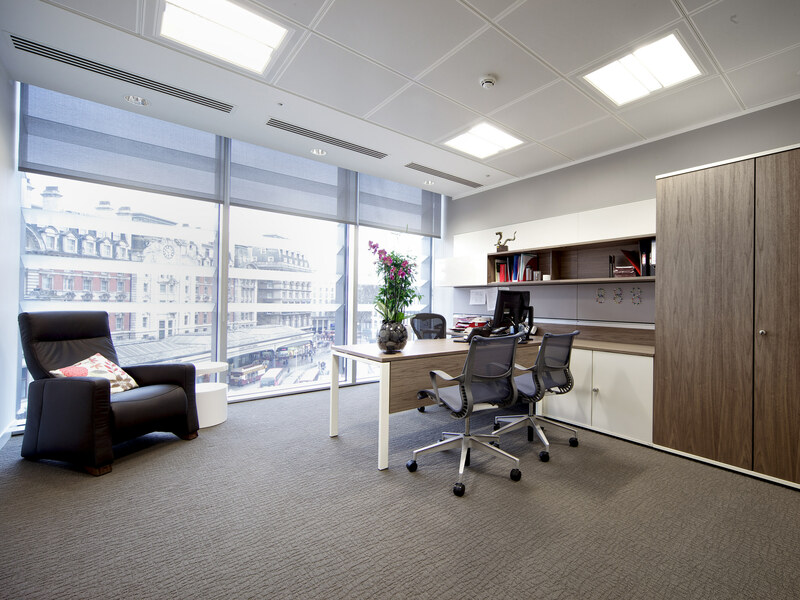 The project involved the complete refit of almost 20,000 sq ft of office space over two floors. 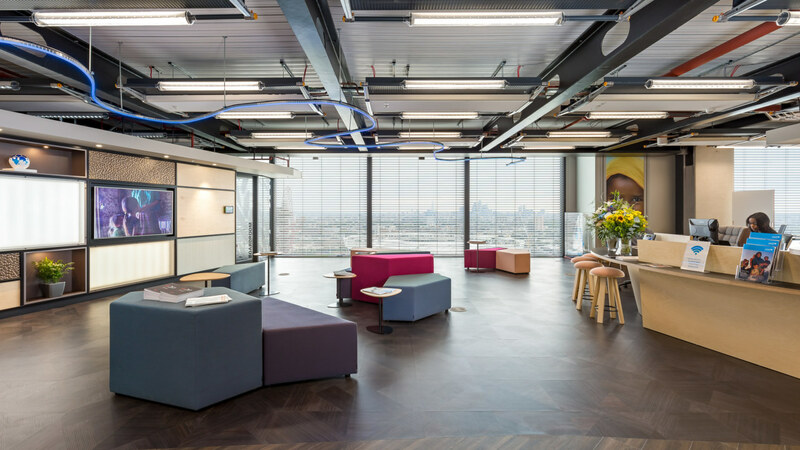 This included: an integrated IT, cabling and AV package, fully specified communications room and separate patch room, trading floor, executive office and a flexible breakout area from the kitchen to encourage greater communication. 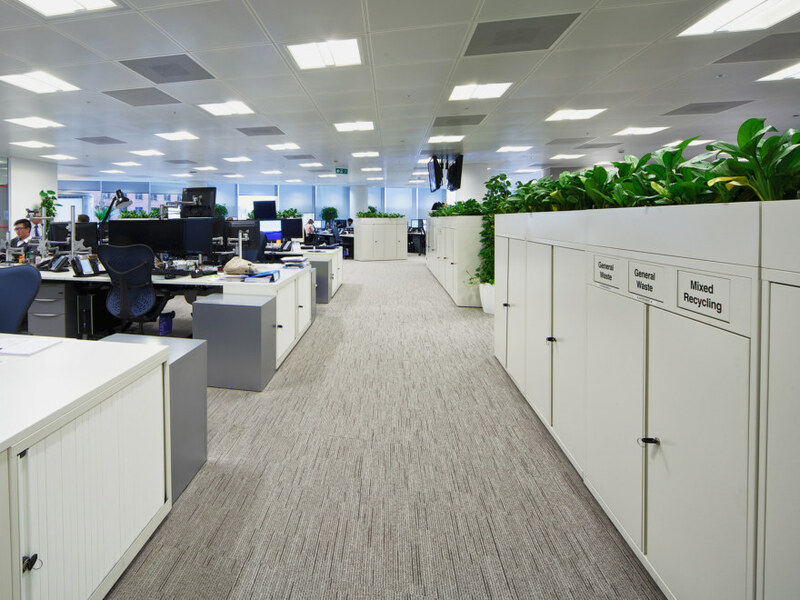 We were especially pleased to maintain the building’s excellent BREEAM rating as part of our fit out.